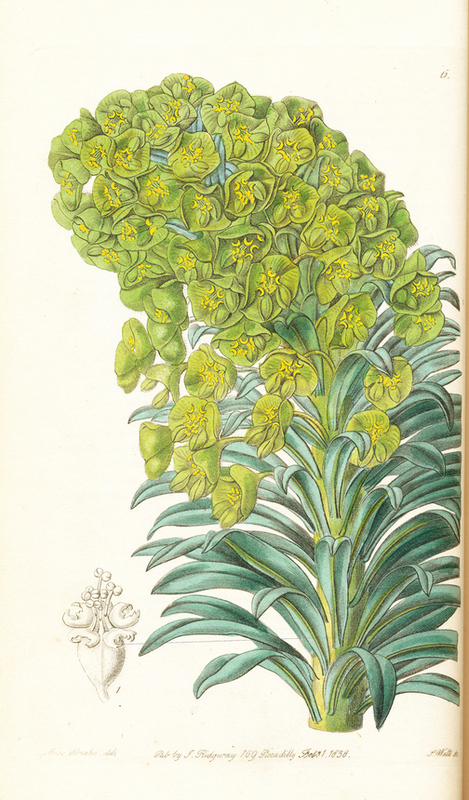 Euphorbia rigida is commonly known as gopher spurge or upright myrtle spurge. It is native to the Mediterranean Basin, the Middle East and South Africa, where it is considered a weed. The common name “spurge” derives from the Middle English and Old French spurge – “to purge” – due to the use of the plant’s sap as a purgative. Euphorbus is the Greek physician of King Juba II of Numidia (52–50 BC – 23 AD), who married the daughter of Anthony and Cleopatra. He wrote that one of the cactus-like euphorbias was a powerful laxative. 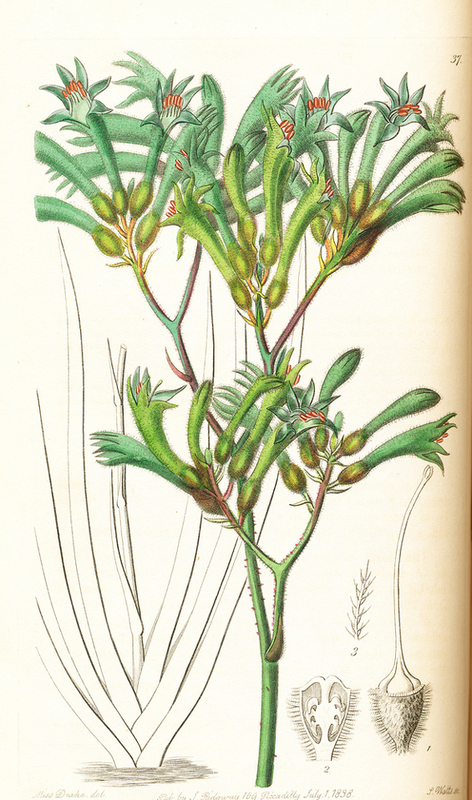 In 12 BC, Juba named this plant after his physician Euphorbus. 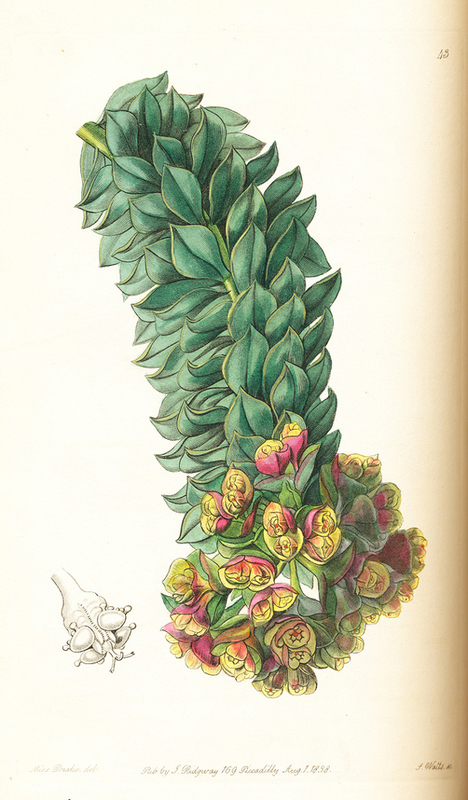 Botanist and taxonomist Carl Linnaeus assigned the name Euphorbia to the entire genus in the physician’s honor. 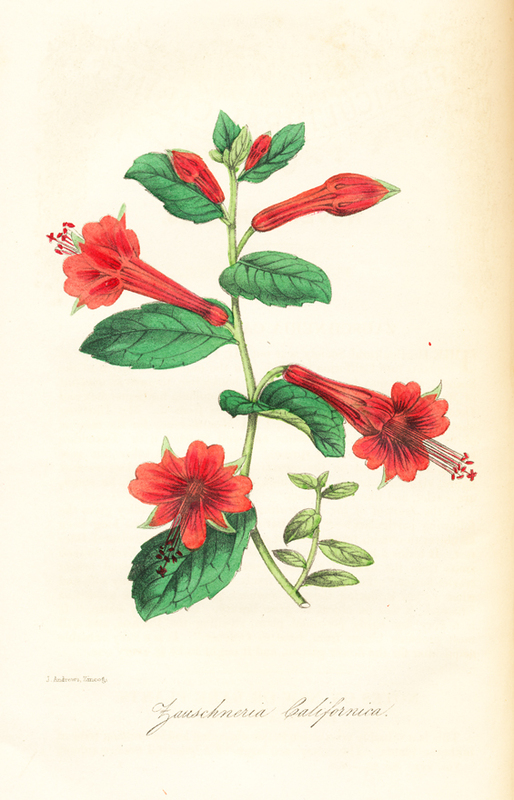 Epilobium canum. 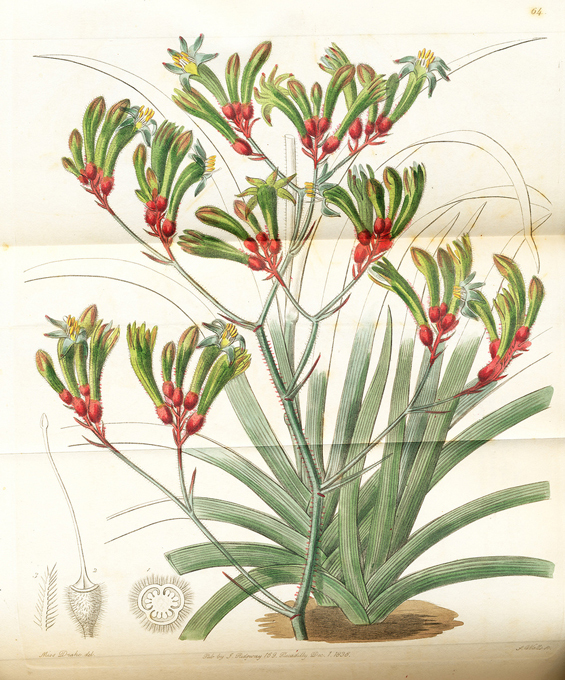 In source referred to as Zauschinera Californica. Image source: The Floricultural Cabinet and Florist’s Magazine. (1848) Vol XVI (16). P. 265.